All roads lead to Speke Resort Munyonyo Hotel in Kampala for the prestigious annual Airtel-FUFA Awards. Two MVP’s are set to drive home by the close of business of the ceremony that will be televised live on Azam TV and UBC T.V. 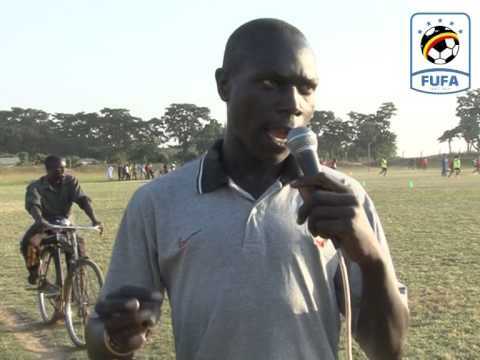 Reigning male footballer of the year, Faruku Miya faces a stiff battle to retain his accolade when he comes up with Dennis Onyango, current UPL MVP, Joseph Ochaya, Muhammed Shaban and Erisa Ssekisambu. 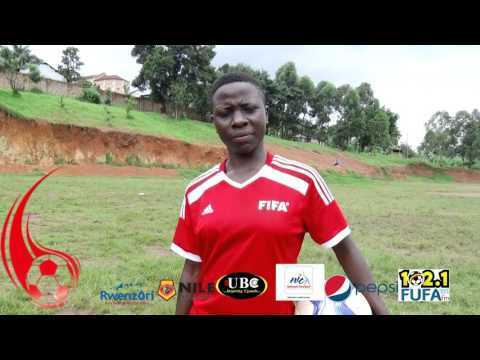 Equally, there is stiff competition among the females with Sandra Nabweteeme, the current Airtel-FUFA Awards MVP female winner contesting with Hasfa Nassuna, Ruth Aturo and Christine Nambirigge. We expect a great ceremony that will be live on T.V. There are 11 categories for the 2016 FUFA Awards with the best female and male footballers on the night walking away with a Grand prize of a car each. All the preparations have been great and we thank all our sponsors and partners, particularly the main sponsors, Airtel Uganda Limited. Denis Onyango has been the mainstay between the posts for his club Mamelodi Sundowns in the South Africa Premier League and Uganda Cranes in 2016. He made the shortlist after his excellent show during the 2017 AFCON qualification that helped Uganda Cranes return to the table of men on the African continent. He also won the ABSA Premiership title with his club and became the first Ugandan to win the CAF Champions League. He is the reigning Airtel FUFA Male player of the year. Miya captained Uganda Cranes at the CHAN Finals in Rwanda where netted one goal before leaving Vipers SC for Standard Liege in Belgium. 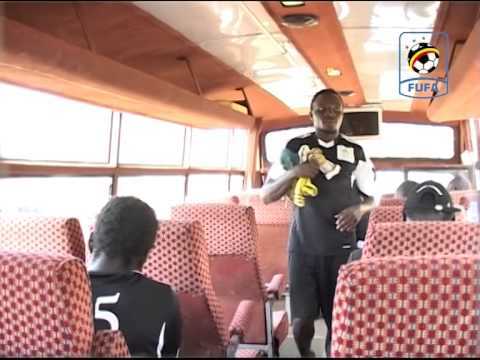 Many football fans will always remember Faruku Miya for scoring a memorable goal against Comoros at Nambole stadium when Uganda Cranes secured a 1-0 win to qualify for the AFCON finals for the first time in 38 years. Since breaking into the Cranes team, the 20 year old has been enjoying starting berths under head coach Milutin Sredojevic. One of Uganda’s most exciting left fullbacks to watch in action both at club and national team level. Ochaya is already a winner of the most prized asset-a Subaru Forester-staked by the organisers of the Azam Uganda Premier League awards. Can lady luck fall on him again? His stats for 2016 will surely give both Onyango and Miya moments of scare for this top award. He scored 7 league goals last season, 3 in the Uganda cup and 4 in the current Azam Uganda Premier League season. The lanky striker guided his club to automatic qualification to the Azam Uganda Premier League with 13 goals. He also finished top scorer of the Uganda cup with 7 goals when his club fell to Vipers on the Final at Nakivubo stadium. He has scored 6 goals already this season in the league. 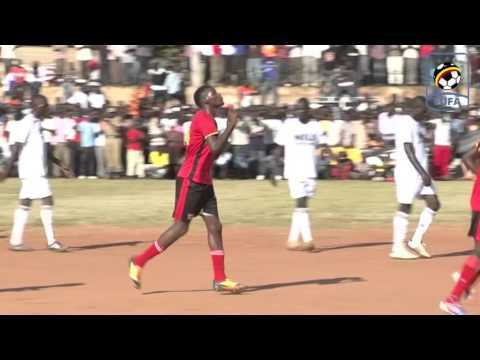 in the uganda Cranes regional tours he has netted three goals (Nakasongola, Buganda region and Kampala region) 2016 will always be a historic year for Shaban as he made his international debut for Cranes against Zambia at Namboole stadium and was an unused substitute when Cranes beat Congo Brazzaville 1-0. The stylish striker netted seven goals including a beauty in the Uganda cup final against Onduparaka. He was one of the shining stars at the 2016 CHAN Finals in Rwanda as he netted in the 2-2 draw with Mali. Ssekisambu who has already scored 4 goals this season, hit the back of the net in the league 16 times last season. The player who was listed number 1 earned 4 points, number 2 earned 3 points and that listed number 3 earned 2 point2 ans at number 4 earned 1 point. Four (4) players with the most votes were short listed and were announced at the launch of the FUFA Awards on 14th November 2016 at Serena Hotel. The grand prize for the Female Player of the year is a car. Aturo was the number one choice between the posts for Crested Cranes during the CECAFA Women championship at the FUFA Technical Centre. She kept two clean sheets during the tournament in 4 matches but was also very instrumental when she kept 8 clean sheets during the FUFA Women Elite League in 16 matches as Kawempe defended the league last season. In the FUFA Independence cup, Aturo kept clean sheets in all the three games Kawempe played in the tournament that they won. She kept 13 clean sheets in 23 matches. 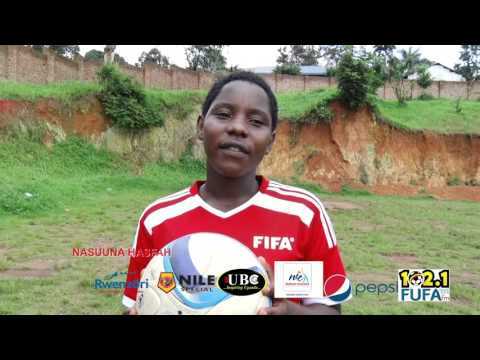 Nasuuna was voted the MVP of the 2015/2016 FUFA Women Elite League (FWEL) for the second year running. Nassuna created a deadly combination with Sandra Nabweteme for their 41 goals tally in the regular season of the FWEL. She scored 18 in the regular season and one in the play offs (19 in the FWEL 2015/2016 season) and made 16 assists to guide Kawempe to league glory. Nassuuna also won the National Post Primary Schools Girls football title with Kawempe in Masindi scoring 13 goals in 9 matches. However in the qualifiers of the National Post Primary Schools Girls football she scored 15 goals in 7 matches. She also scored 8 goals in 6 games in the Buganda Schools girls’ title. She netted 2 goals as Kawempe lifted the FUFA Women Independence cup. She netted 6 goals in 5 games for Crested Cranes during CECAFA Women in Jinja. She was also on target 3 times in the Mama Becca Cup. Nassuna who has already score two goals in the league this season (FWEL 2016/2017) also netted three times for Kawempe in the UMEA cup in Masaka. In total, the period captured for the awards in this category, Nassuuna scored 71 goals. Popularly known as ‘Tina’ among the football fraternity, Nambirigge is a natural defender but she is sometimes deployed as a striker by her coaches. She plays for She Corporates who finished runners up in the FWEL 2015/2016 season. She netted 4 goals and made 11 assists in the FWEL 2015/2016 season.. Her club She Corporates won the FUFA Women Day Mama Becca Cup 2016 where she scored 3 goals. 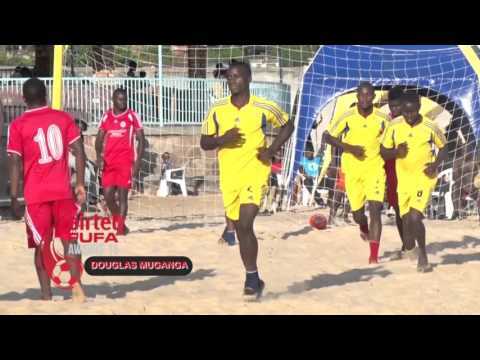 In the CECAFA women Championship, Tina who plays Beach soccer with She Corporates, scored two goals. She is the current holder of the FUFA Female player of the year. She currently plays in the US when she helped her club SWOSU to the playoffs. She picked up two awards for best new comer and scored 22 goals with 9 assists in the Greater American Conference. She netted 23 goals in the 2015/2016 FUFA Women League and 2 in the 2016 FUFA Women Day Mama Becca Cup. She was captain when Kawempe Muslim Secondary School won their second successive league title. The key mechanism of voting is to Type FUFA -Space- Code – and send to – 8888. For the catergory of Fans’ favourite player in leagues outside Uganda.